Courtroom. Compromise. Whatever the goal, Jonathan Little loves going to battle for his clients. Jonathan excels at “doing the thing” to achieve his clients’ goals. As the beneficiary of courtroom experience early in his career, Jonathan has successfully briefed and argued motions to dismiss, motions for summary judgment, and, when appropriate, successfully settled and tried cases for his clients. Whether through research and writing, or arguing on his feet, Jonathan takes pride in zealous advocacy and loves “doing the thing” to find a solution for his clients’ litigation problems. A significant portion of Jonathan’s practice is devoted to representing statewide, national, and international media and communications companies. In this area, Jonathan represents journalists, newspapers, broadcasters and media companies in matters ranging from defamation and invasion of privacy lawsuits to First Amendment, censorship, public records and government access claims. He also routinely defends companies in product liability, fire and personal injury litigation. Making use of his background in economics and banking, Jonathan also represents clients in commercial and securities litigation. 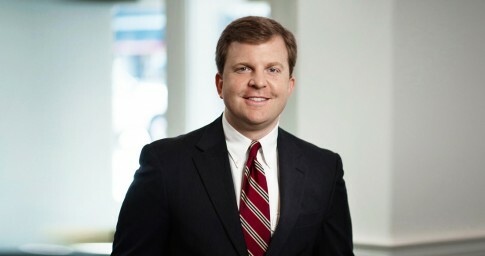 Not one to back down from a fight, Jonathan has secured appellate victories for his clients at the Alabama Court of Civil Appeals, the Alabama Supreme Court and the U.S. Court of Appeals for the 11th Circuit. Outside of the office, Jonathan enjoys spending time at the lake with his wife, Katie, sons Jack, Sam and George, and extended family, fishing with bobbers and worms and jumping off the dock to see who can make the biggest splash. According to sources, Jonathan usually makes the biggest splash. Briefing, arguing and ultimately winning a Rule 12(b)(6) dismissal of a defamation lawsuit filed by a public offical against a print and online media company. Briefing, arguing and ultimately winning a motion to quash in Alabama federal court to successfully keep journalists from being compelled to testify in lethal injection protocol litigation. Obtaining summary judgment on all claims, including agency and res ipsa loquitur, in favor of a national cemetery and property service company in Alabama state court, which was affirmed on appeal. Obtaining victory on appeal to the Alabama Supreme Court to compel the plaintiff to arbtiration, reversing the trial court’s holding that the arbitration provision was unconscionable. Securing a Rule 12(b)(6) dismissal of federal antitrust claims against a national cemetery and property service company in the U.S. District Court for the Northern District of Alabama. Serving as second-chair during arbitration in which a former employee sought $10 million in damages against a national provider of insurance and investment products and services. Obtained complete judgment for defense. Winning emergency injunctive relief on behalf of an online and print media organization resulting in the release of more than 7,700 pages of public records relating to a fatality during the Terminal Modernization Project at the Birmingham International-Shuttlesworth Airport. Briefing, arguing and ultimately winning a motion to enforce a forum-selection clause requiring suit in Prince George’s County, Maryland, on behalf of a Maryland manufacturer. Briefing, arguing and ultimately winning a motion to quash a subpoena seeking the disclosure of the identities of anonymous commenters on an online news story.